Are you looking to buy wedding drapes wholesale? Here’s your guide to wedding pipe and drape systems. You’ll learn about how affordable, versatile and elegant pipe and drape systems for weddings can be. At Canvas Etc, we understand the importance of creating a memorable experience for guests at any event. But weddings in particular need to be elegant and romantic. 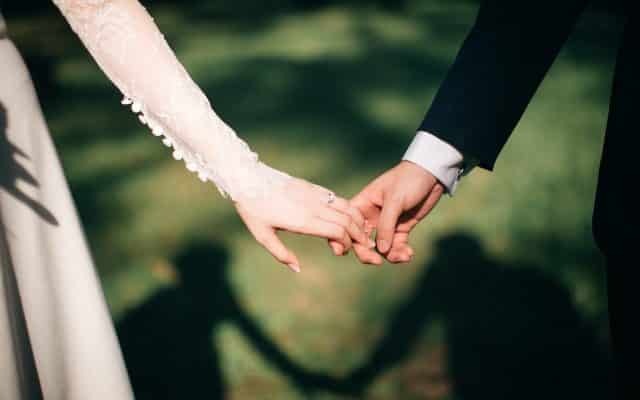 Keep reading to learn more about this traditional wedding decorating convention. What Are Pipe and Drape Systems? Let’s start with the basics. If you’re taking a gander at getting together another pipe and drape unit, or regardless of whether you’re taking a gander at utilized pipe and drape packs, there is a great deal to consider. So, pipe and drape is utilized to fabricate a “false divider” or to veil a region. They are generally used to partition rooms or set up independent spaces, for backgrounds for meetings or even as settings for weddings. A pipe and drape kit consists of four sections. These parts comprise uprights, bases, drapes and drape support. The system is intended to create a barrier, and all things considered it’s essentially a couple of pipes that hold up drapery. So the uprights are the vertical shafts while the drape support holds the drape. The base is meant just to hold the uprights. Many individuals utilized steel bases on the grounds that the additional weight helps in holding the unit up. A few people decide to also add elastic weights to the base to guarantee it doesn’t tip over. Are Pipe and Drape Systems Affordable? Pipe and drape systems aren’t for everyone, but for the most part, wedding drapes wholesale are very affordable. People who purchase our wholesale systems are often banquet hall owners, photographers, wedding and event planners, and the occasional end-user. Brides-to-be often come to us to buy wedding drapes wholesale. Depending on how complex your system is, there is a variety of pricing. Rest assured, Canvas Etc will work with you to find the most affordable products for your event. Bases: For a heavy-duty pipe and drape system, a strong base is required. Bases give stability so that your pipe and drape don’t easily fall over. We have different bases depending on your needs. Uprights: Uprights are the most common form of pipe in a pipe and drape kit. Upright pipes lift your pipe and drape kit up to a desired length. Uprights also comes in fixed or telescopic options. If you’re looking to adjust the height of your kit with ease, then a telescopic upright is what you. Crossbars: Crossbars give you a place to hang your drapes. Crossbars are placed between uprights and they are the pipes on which your drapery is hung. Pipe Covers: Cover piping to increase the class of your event. Choose coverings that match your drapes or contrast it. Pipe covers slide over your piping to enhance your pipe and drape system. Overall, pipe and drape systems are an affordable way to elevate your wedding decor. The systems are simple enough for anyone to use. Easy breakdown means you can take them anywhere you go! Hide Unsightly Windows and Walls: Buying wedding drape wholesale is a great way to hide unsightly walls or windows. Canvas Etc’s clients have used drape in a multitude of ways. Hide unfinished walls, construction areas and other unwelcome views. Set a Romantic Mood: Pipe and drape means luxury and elegance no matter where it’s placed. You can use black velour drape along with colored uplighting to inexpensively create a gorgeous space. Transform the Environment: Sometimes you need to transform a space for one night. Pipe and drape kits are perfect for this. From changing a restaurant to warehouse, you can make any space come alive. Creating jaw-dropping settings for your next event is the goal. Pipe and drape sets the mood and highlights areas you want to focus on. Pipe and drape, likewise known as fabric drapes, theatrical backgrounds and pipe and base systems have been utilized as a part of business applications (TV programs, motion picture sets, fashion shows and music concerts) for quite a long time. The real estate business, architects, picture takers and occasion organizers have utilized it to transform plain customary scenes into someplace beautiful. For the wedding planner or bride who wants to add some class to their wedding, DIY wedding drapes wholesale may be right for you. Buying wholesale means you don’t have to spend thousands on rentals. Your pipe and drape kit can be used again and again for other customers and events. For brides, you can sell or rent your wholesale pipe and drape kit to other brides-to-be and earn your initial investment back. 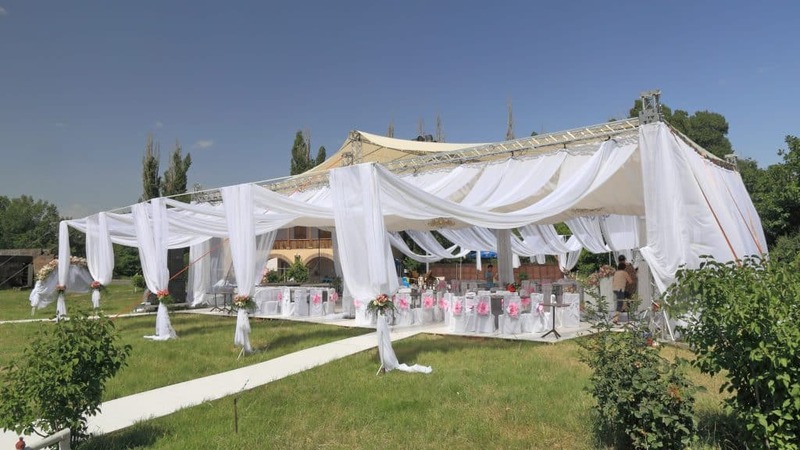 Wedding drapes wholesale can be as elaborate or simple as you like. From a simple backdrop to complex ceiling treatments, there are options for everyone. Backdrops: Backdrops for a ceremony or photo booth at wedding creates a sense of depth and texture. Tents: Use a large pipe and drape system to create beautiful draped designed inside of tents. 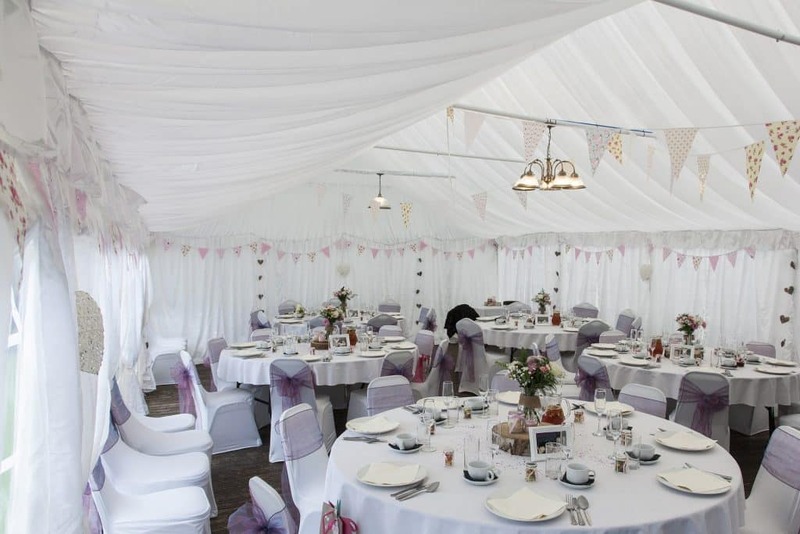 Drapes can also be set up to give a tent or overhang sides. Ceiling Treatments: Create a focal point in a room with ceiling treatments. You can use battery operated LED twinkle lights that suspend on semi-transparent drape. This create a lovely mood and ambiance. Wall Decor: Cover walls with drape to uplight and create backdrops on drab walls. Cross, weave and swag drapes to transform a boring wall into a lovely focal point. These are just four ideas, but the possibilities are virtually endless. For instance, you can add flowers or ivy, lights, and you can even hang chandeliers from crossbars. For a modern look, combine your pipe and drape setup with paper flowers or stars for a shabby chic display. You can also project your monogram or a design onto the drape! Not into drape? You can use pipe to hang paper or ribbons from instead. Poly Premier Drape: Poly Premier, or simply Premier drape is often used within the hospitality industry. This versatile fabric is 100% polyester and inherently flame retardant. This fabric drapes beautifully and is ideal for a number of wholesale pipe and drape systems. The texture for Premier is similar to table linens in fine dining establishments. Sheer Voile Drape: When you’re looking for a classy, elegant fabric, sheer voile does the trick. This transparent drapery works well with uplighting and makes for wonderful wedding backdrop setups. It’s light, airy and clean looking. It really does create a fairy tale atmosphere. Fashion Shows: Create runways, backdrops and private dressing rooms with pipe and drape systems. You can use various materials to create whatever mood matches the theme of the show. Corporate Events: Are you looking to your corporate event amazing? Think about dressing your space up with an Canvas Etc system! Transform a drab room into an elegant one. Perfect for award ceremonies and training sessions. Milestone Events: Celebrate with friends and family in a classic space! Baby showers, wedding showers, anniversaries, and bat/bar mitzvahs all benefit from the sophistication a pipe and drape system provides. Trade Shows: If you’ve ever walked through a conference or exhibit hall, you’ve seen pipe and drape systems. Besides weddings, this is the most popular use of pipe and drape. Hide products, create dramatic scenes, and a sense of privacy with one of our kits. Canvas Etc has the best material for your pipe and drape needs. We’ve done the work of choosing the right fabrics so that you don’t need to. Through careful decisions, we’ve developed an offering of the best material for your pipe and drape system. Regardless of whether you’re hoping to stand out at your next public expo or adding polish to your up and coming marriage ceremony, Canvas Etc. has you covered. Contact us today to learn more.